When botanical drinks manufacturer Fentimans needed to hire a financial controller to oversee ambitious growth plans, the Hexham-based firm turned to Edward Reed Recruitment to identify the ideal candidate. Trading since 1905, Fentimans is a household name in artisan soft drinks and mixers, with stockists across the globe. As part of the company’s five-year plan for further expansion, which includes more than tripling its top line by 2020, Fentimans is creating a number of new job roles. “We were approached by Fentimans at the end of 2016 with the task of recruiting a financial controller. This is a new role for Fentimans as they wanted to bring somebody in-house who could manage the day to day financial reporting and support the executive team as they focus on growth and strategy. 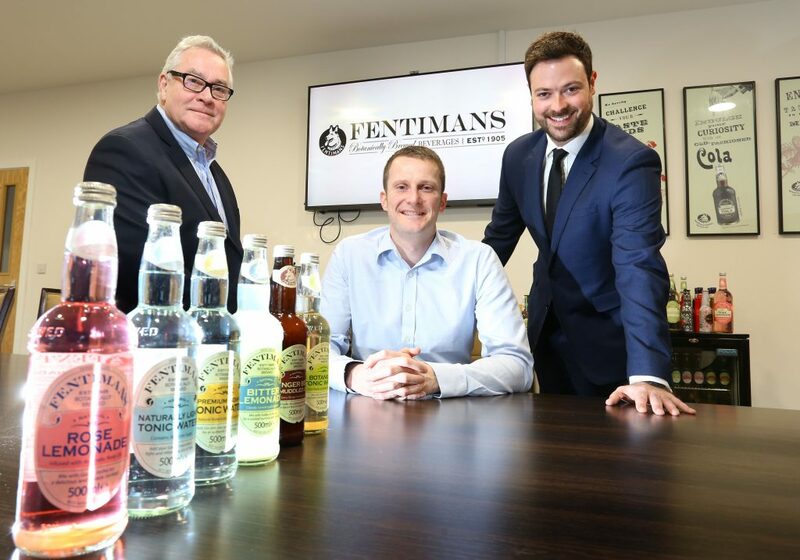 “Fentimans were looking specifically for a qualified financial controller who had previous experience of working within the manufacturing industry, so that they could come in and hit the ground running to establish the necessary processes to help drive the business forward. “We have very ambitious plans for the growth of the business and we need a strong team in place to help get us there. The successful candidate, Craig Whitfield, saw the job vacancy advertised on an exclusive, industry-specific job board and contacted Edward Reed directly for more information. As financial controller, Craig is responsible for monthly reporting and financial forecasting at Fentimans. Craig is also tasked with the optimisation of the company’s Enterprise Resource Planning (ERP) system and will help to deliver continuous improvement programme efficiencies throughout the business. “Having worked for a number of large manufacturing companies in the past, I recognised that this was a great opportunity to join a growing business,” Craig said.